Drunk Driving Lawyer Framingham Massachusetts - Stephen E. Dawley, P.C. 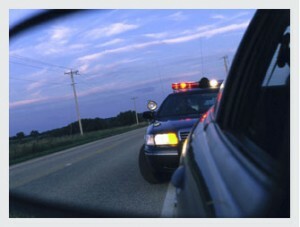 Do You Know What To Do If Pulled Over for Drunk Driving? If you are stopped by the police for drunk driving, you have to make quick decisions. Do you plead guilty and put it behind you? Or do you contact an experienced lawyer to represent you? Operating under the influence (OUI/DUI) of alcohol or drugs is a serious charge and dealing with it yourself can be a costly mistake. The consequences are many, and include a loss of license, jail time, and increased auto insurance. I am Framingham, Massachusetts, drunk driving attorney Stephen E. Dawley. For more than 30 years I have defended people in Massachusetts against charges of operating under the influence of alcohol or drugs. I will help you fight these charges and will help with any driver’s license issues. Please call my Framingham office at 508-308-8191 or email to steve.dklaw@verizon.net for an appointment. A conviction for OUI ( or DUI) will remain on your record for life in Massachusetts. You may lose your license for a year or much more, pay heavy fines and possibly go to jail. It may affect your ability to get a job or seek an education. A conviction will likely result in a significant increase in your auto insurance. If the circumstances permit I might be able to request a so-called 24D disposition. If granted the judge enters what is known as a “continuance without finding” (or CWOF), which results in a dismissal after a period of probation with conditions. As long as you have complied with all the conditions you will not have a conviction. Also you may qualify for a “hardship license” that will allow you to drive twelve hours a day. I meet with each client and then carefully review all of the evidence. I determine whether the police had a good reason to stop you and if not will file a motion to have the case dismissed or to have seized evidence thrown out. I also evaluate the vailidity of all so-called field sobriety tests, blood tests, and breathalyzer tests. Every drunk driving case is unique and requires a careful and skillful analysis of the evidence and careful consultation with the client about all the available options. Given the consequences it is essential to consult with an experienced OUI/DUI lawyer if you are arrested. Sometimes the police make errors in their evaluation of a case and jump to conclusions about whether a person is under the influence. Sometimes the field sobriety tests are not administered properly. There are many things to consider with an eye toward achieving the best possible result based on the facts of a given case.